“Choose your leaders with wisdom and forethought. To be led by a coward is to be controlled by all that the coward fears. To be led by a fool is to be led by the opportunists who control the fool. To be led by a thief is to offer up your most precious treasures to be stolen. To be led by a liar is to ask to be told lies. In the face of our current social and political climate, speculative fiction has been a way for me to see the world in a new paradigm than what is given to us through mass media. I have spent the past year reflecting on the Earthseed series and have been trying to figure out for a while now how to express the hope and change that author Octavia Butler has instilled in me. Forewarning: if you haven’t read the series, this will contain some spoilers, but not so many that these books won’t still be worth the read. I am only focusing on some small portions of the novel that feed the story, not the entire plot. Last summer I took a job as a custodian in order to make some extra money to pay for school and living. One of the few perks of the job was that I was allowed to listen to headphones while on shift, which was exciting for me because it meant that I could start to get through my ever-growing reading list via audiobook, and I had some Audible credits that had been stacking up recently. 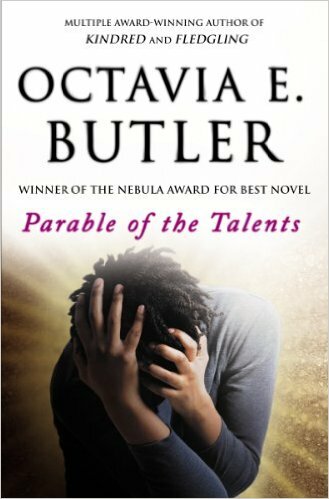 In particular, I had been dying to finally check out some works by Octavia Butler—multiple friends and professors who knew that I loved science fiction but was desperately in need of more writers of color had recommended her. I eagerly downloaded Parable of the Sower, the first of the two-book Earthseed series, and was not ready for what I was about to encounter. Butler paints us a picture of the year 2025 in which the world is in economic crisis, jobs are nearly impossible to find and keep (and even if you have one it doesn’t pay well), everyone is in debt, education is so expensive that most can’t afford it, crime and drug abuse go rampant as the poor use them as a method to cope with the conditions. Any of this sound familiar to you? I’ll admit it probably didn’t take much for Butler to predict how our world would look. 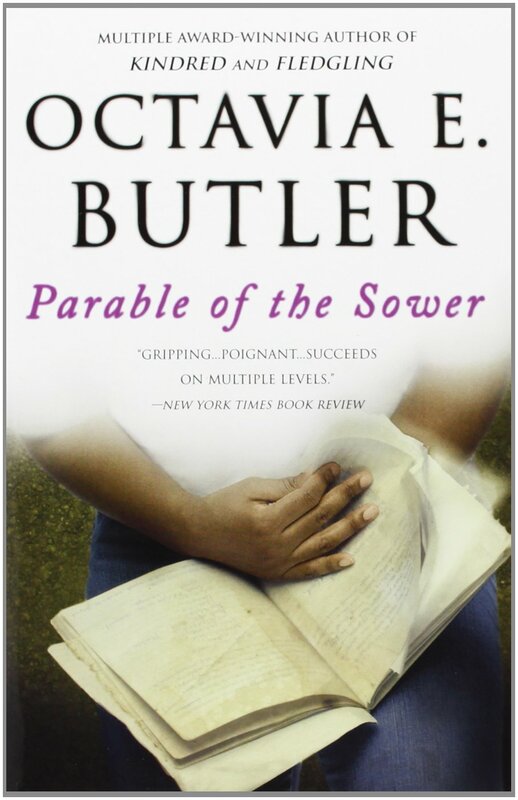 Parable of the Sower was published in 1993, meaning she started writing it during the late years of the first George Bush as president and the early years of Bill Clinton’s first term. While she overshot the timeline by nine years, Butler’s predictions on what the future would look like were eerily accurate. Citizens in this hypothetical America have become apathetic towards voting. They realize that the goals of the government don’t align with the needs of the people. Those with the means to invest financially in politics usually buy more votes from the poor in order to secure the candidate they favor. Spoiler alert: Jarret wins the presidency. I know that I’m not the only one here who has felt like no matter whether we get Clinton or Trump this fall, there won’t be much of a difference. While Clinton’s racism is more subtle, she knows how to work the political system better than Trump. Trump, meanwhile, plays on fear—the fear that there is no way out of this decline we are in, the fear that white supremacists have of change to the status quo, the fear of terrorism and crime. While a strong majority of his claims are exaggerated or just plain untrue, that fear is a powerful motivator. However, in desperation, many who oppose Trump are voting for Clinton not out of support for her policies but out of fear for what would happen if Trump were president. The one thing we can trust with Clinton is to know exactly what type of trouble we would be in once she is president; Trump’s is less predictable. However, I have to question the idea of voting for anyone—Clinton, Trump, Sanders, or even Stein—based solely on the motivation of fear. How does that make us strong? How does this give us a voice? How does this make us a united people? It’s so easy to lose hope and feel powerless when faced with the situations we have had all this election season so far. It’s easy me as a black trans person, who is seeing over and over a system of the same and not much of a system of change, to feel like things can never improve no matter who the presidential candidate might be. Octavia Butler doesn’t leave us with this feeling of dread at the end of her novels, though. She gives us a solution to this problem we are all facing, and this is what I want us to cling to. In small communities, she encouraged education, sharing of resources, and helping those who may not be able to help themselves. Everyone has something to contribute, and that way everyone gets to have their needs met. There may not have always been surplus in the world of Butler’s books, but there was always enough. This was established in the community of Acorn, the first Earthseed community. Everyone learns together and cares for each other, and when the government isn’t there to help the people, the people step in and help each other. With this, we can overthrow the tyranny that a bigoted government could bring us; we could be stronger and happier than what we had set up for us. I don’t want us to feel limited to these presidential figures who want us to feel powerless. We are more than ballots in a box. We are educators, healers, parents, partners, friends, cooks, artists, scientists, writers, mentors. Most importantly, we are leaders. Us. No president can replace the leadership that the people can embody. 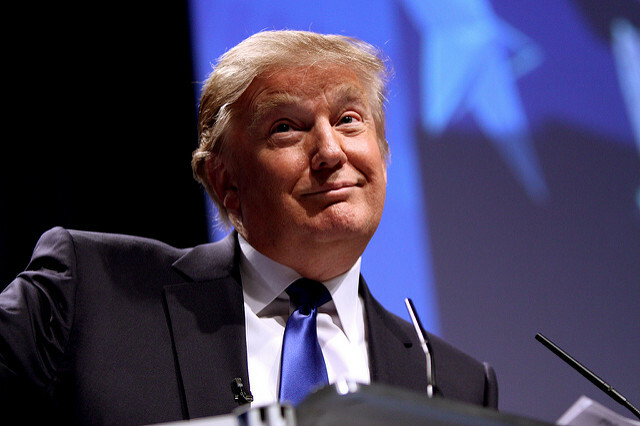 Donald Trump might become our next president. That is a reality that we might have to face. But that doesn’t mean we have to accept him as our leader. Riley is a Saint Paul University student who spends more money on comic books than he spends on his textbooks. His geek interests are rooted in Marvel comics, The Walking Dead (Video Game, TV show and comic series), Star Trek: The Next Generation, and an unhealthy dose of Disney movies. I really like the way you end this. Great and timely post! Great article and a great reminder of how ideas and hope and the love of change for the better can spark some things!